Passing Away of a noble Sangha Member. He was such a great monk who was respected by many for his noble mission as a virtuous, educated Buddhist monk. 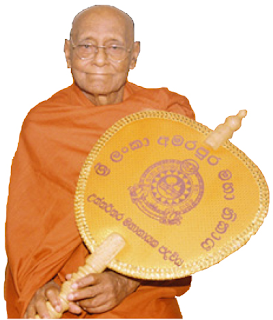 His service to the Buddha Sasana in Sri Lanka was irreplaceable, He was well versed in Buddha Dhamma, Pali, Sanskrit and Sinhala and has written a number of books apart from leading a noble life as a role model. It would be a great loss to the Sri Lankan Buddha Sasana in particular and to the world Buddha Sasana in general. Sri Lanka needs more monks like this to uplift the spiritual and religious values of the country to make it a blessed country with Peace and Co-existence. May the great Maha Nayaka Thero attain the supreme bliss of Nibbana! 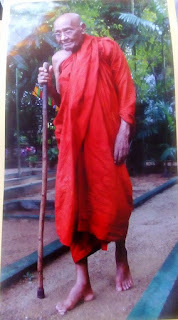 May Sri Lanka find more great Sangha members like him! May the Buddha Sasana shine and blossom to make our world a land of Peace, Tolerance and Non-violence!